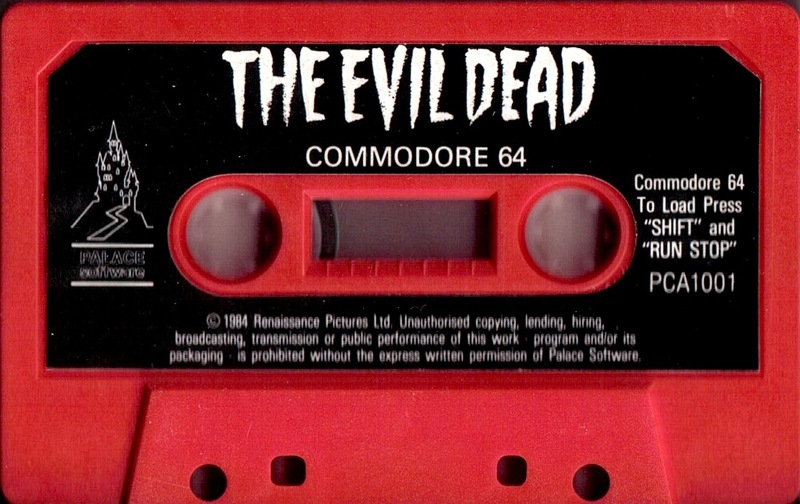 The very first Evil Dead game ever made was developed and published in 1984 by a British software company Palace Software for the Commodore 64/128 and ZX Spectrum home computers. The game came on a data cassette tape that you would load into a datasette recorder in order to play the game. 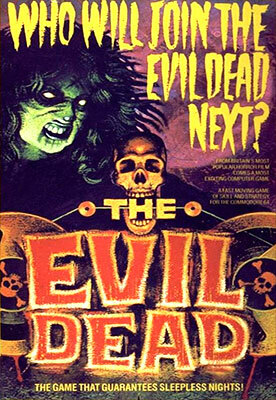 The graphics would be considerd archaic for today’s standards but got the theme of the film across. The game takes place in and around the porch area of the cabin. You play as Ash, who has to battle the evil force in the woods by collecting pages from the Book of the Dead before the evil swallows you. Ash can also collect weapons such as shovels, shotguns, and axes. The game is currently considered freeware and is available at C64.com.